DVDLogic Software | View inside of Blu-ray and DVD logic! Traditionally DVDLogic provided unique technology for Blu-ray and DVD reauthoring of projects originally created using professional authoring tools, allowing editing or modification without the requirement of having the original assets or project. The recent addition of KITE HDMV and Java Authoring Suite now provide revolutionary opportunity to create, design, de-multiplex, modify, reformat and generate high quality Blu-ray and UHD products with ease, yet complete accuracy and BD Compliancy. Soar high above the competition with KITe! BD Author 3D: professional BD authoring solution for studio and home use. Our software helps to hundreds of BD authors in tens of countries. It is used by many authoring companies and ordinary users. It contains all the necessary functions for compilation video, audio, interactive graphics (menu) and subtitles into full valuable BD. With BD Author you can open, edit and compile again any your existing BD. KITe UHD was the perfect choice for our authoring needs as, unlike other UHD and Blu-ray tools on the market, it allowed us to open existing Blu-ray projects and with little asset modification and work we could repurpose these projects and create perfect UHD projects in very little time for replication. We have authored 10 commercial projects with KITe so far and were pleasently surprised by the price, flexibility and competence of the support staff (very quick addressing all questions). In our assessement, KITe is an ideal solution for small and large studios alike - at a very competitive price point with unrivalled features and flexibility. It is truly a next-generation authoring tool. I have now successfully reauthored more than 20 productions with DVD Reauthor Pro 3.0. The new productions from DVD Reauthor Pro 3.0 are identical to our first releases of the discs (made 3 years ago). Very good, it works very well! New version 2.4 of KITe UHD Authoring Suite released! As the Blu-ray Association continues updating the BD Specification, so do we continue updating our software to conform with the latest changes to Dolby Vision and HDR10+. Additionally, built-in tools like IG Editor, BD Wizard, Quick BD Menu and BDCMF generator were also updated, plus we have made optimizations to our Muxing engine and KITe Java option as well. KITe HDR10+ update - 1,000 EUR. KITe Dolby Vision update – 4,000 EUR. KITe UHD v2.x upgrade (from v1.x) - 1,000 EUR. Please contact us if you wish to receive this upgrade. KITe UHD Authoring Suite ver. 2.1 with improved Java & HDMV features now available Working meticulously during the past few months, we have managed to implement a considerable number of customer requests and improvements to KITe’s HDMV, Java authoring and Menu compilation applications. The resulting “KITe Authoring Suite Ver. 2.1” represents a more optimized and efficient product, geared towards stand-alone usage but equally capable of importing (BD-ReAuthor) diverse projects and discimages created by 3rd-party UHD and BD authoring applications. These efforts have enabled users to process some significant UHD title releases for the European and Asian markets, which include “Valerian”, “LaLa Land”, “Hitman’s Bodyguard” as well as the first European Dolby Vision™ release “Saw Legacy”, to name a few. DVDLogic has made unprecedented steps to support DoStudio users making the transition to KITe as comfortable and smooth as possible. Now you can open DoStudio project file directly in KITe Java! * Special prices for DoStudio users: 4000 Euro for regular BD version! Special services include 24-hour email response, flexible payment terms and user suggestions consideration list. Amongst those scheduled are "4 steps for basic BD creation with menu", "Restore old and re-new it" and "Simple Java menu creation". Gain more benefit with KITe! As the UHD market continues to grow and the list of titles made with KITe increases, so does the number of improvements and handy features to KITe Authoring Suite continue to expand. With the recent addition of KITE JAVA, customers now exercise options not available with HDMV, for example, animated buttons with audio, full color graphics, conditional branching and access to numeric and colored buttons on remote. As a special offer during Summer 2017, current users of DoStudio can replace or upgrade their discontinued 2D/3D licenses at the discount price of 4,500 Euros. We would like to say “Thank you”, for your suggestions during the past year and for your continued use of DVDLogic products. We are greatly encouraged and motivated by your enthusiasm, so you can rest assured that rapid and constant development will continue on our part. Yes indeed - UHD/4K BD lives here! Shake off the Winter blues with KITe UHD! Winter 2016 is almost behind us, and with it disappears much of the gloom and uncertainty concerning the future of UHD. Many had predicted that the format was doomed to fail, however the increasing number software products, televisions, UHD players plus titles available from video outlets throughout the US, Europe, UK and Amazon indicate the opposite. DVDLogic continues to enhance KITe Java and KITe HDMV with the recent implementation of a “BD/UHD Wizard”, providing a simple process which allows authoring professionals and enthusiasts to realize functional titles in 4-simple steps. The applications also provides complete AACS2 as well as CMF 1.0 support for single, double and triple-layer UHD formats. KITe Authoring Suite Ver. 1.5 is the perfect substitute or complement to competing authoring products..... Several studios already benefit from its UHD/BD Re-author feature, which enables cross-platform support and re-purposing of assets, disc images, templates and project structures, allowing for fast, intuitive, accurate and effective realization of titles – irrespective of which tool was utilized in their original creation. December promotion available for all DVDLogic products! DVDLogic Software in collaboration with Silicon Philosophies are pleased to invite you to become acquainted with our recently released, innovative UHD BD Authoring & HEVC encoding solutions during IBC 2016 exhibition (Booth 5.B16), Amsterdam RAI from 9-13 Sept 2016. Several major Hollywood and other releases have already been authored using our KITe UHD BD product, replicated and available in stores and on Amazon. Feel free to email us in advance to make an appointment. We look forward to personally answering all your questions and demonstrating the features of. Feel free to email us in advance to make an appointment. We look forward to personally answering all your questions and demonstrating the features of. KITe Beta Program nearing June 30 closing date! The past 3-months have been extremely grueling to our development team, yet equally successful, thanks to the joint efforts and active participation of those who took the opportunity, not only to join, but to evaluate KITe. Qualified technical support, via email, remote access, etc. Further enhancements are underway, which will be made available in upcoming releases. We encourage you to take advantage of the opportunity to acquire KITe and save 50% on orders placed by June 30, 2016. We are conducting Beta Testing activities for our UHD authoring application! DVDLogic Software in partnership with Silicon Philosophies are proud to announce our newest multi-functional UHD BD authoring application, known as KITe; empowering small to mid-sized companies to join this latest trend. KITe is based on our familiar BD-Author 3D concept and user interface, but in addition, provides UHD functionalities. BD Author 3D v3.1 released! Improved BDCMF export, partial mux function, B-pyramides processing, seamless branching, "Import BD" function, user interface. Free upgrades for all users who purchased the previous version. BD Author 3D v3.0 and EasyBD Authoring Studio v3.0 released! BDCMF export function added, completely remade BD muxer generates 100% BD verifier compatible M2TS files suitable for all BD players, partial mux function, B-pyramides processing, improved user interface. As always we have made New Year discounts to our products! Starting from December 11th to 25th we offer 25% discount to all Blu-ray line products and 40% discount for DVD products. This is the best time this year for all who plan to purchase our software. BD Reauthor Pro has been updated to version 3.6.1. This update includes a couple of bug fixes that could lead to DTS-HD errors in Scenarist BD projects. New BD Reauthor Pro adopted to latest Scenarist v5.7. New build version is available for download by request. IG Emulator has been updated to version 1.0.9. The update includes additional command line mode for future interaction with our BD Author software. New build version is available for download from here... IG Emulator allows you to instantly preview and test your menu files coming from IG Editor before bringing them into your authoring application. BD Demuxer UHD v3.0 released! Blu-Ray Demuxer Pro is a powerful tool for BD, 3D BD and UHD BD demuxing. New release contains additional demux functionality for the upcoming UHD BD format. Bug fixes for 3D demux mode. As always, one year free upgrades for all users who purchased the previous version. Third party HDMV preview tool IG EMULATOR v1 AVAILABLE! IG Emulator allows you to instantly preview and test your menu files coming from IG Editor before bringing them into your authoring application. Some features: Initial player registers can be set to match your project's movie object settings, Tracer capability allowing you to preview your HDMV commands and their effect one step at a time, Preview menu and button animations, Navigate menus and buttons, Allows import of .pes and .ies files supporting Dostudio EX, Scenarist BD, BD Author and Indigo Ultra for UHD 4k authoring. Send your IG Emulator Demo request to support@dvd-logic.com. Merry Christmas and Happy New Year! We have made a small gift for our customers making great discounts to our products! Starting from December 20th to January 10th we offer 25% discount to all Blu-ray line products and 40% discount for DVD products. This is the best time this year for all who plan to purchase our software. Please feel free to contact us concerning purchase. BD Author 3D version 2.6 and EasyBD Studio version 2.8 released! ISO Image function added. BD Muxer improved. BD Author 3D version 2.4 and EasyBD Studio version 2.6 released! We continue improving our BD Muxer kernel. Now we concentrate our efforts on accurate muxing and speed optimization. We implemented some optimization, including multi-thread approach and now updated our all BD authoring software line. Blu-Disc Studio v1 released! Our technology partner Disc Art Authoring released Blu-Disc Studio version 1.0! Based on original technology, Blu-Disc Studio allows create full valuable BD with Java based menu very transparently for user. Enhanced but powerfull user interface, that does not requires any special knowledge of BD specification, and built-in DVDLogic BD Muxer makes Blu-Disc Studio affordable for home and amateur users. BD Author v1.3 released! In new BD Author we made important improvements in Browsable slideshow creation: Audio clips for BS, PlayList for BS, time accuracy. We also optimized "New from BD" function and work with Interactive Menu. Several bugs are fixed. Update is free for all registered users! BD Author v1.2 released! In new BD Author we added Redo-Undo function, special feature for multiple repeating of any PlayItem, improved BD Schema. Several bugs are fixed. Update is free for all registered users! September is last month for 20% discount for BD Author, EasyBD Pro, Suite or Studio version. EASY BD LINE AND BD AUTHOR SUMMER DISCOUNT - 20%! Only for Summer period and September we propose 20% discount for EasyBD Pro, Suite or Studio version. Also during this time you have great opportunity to order EasyBD Studio + BD Author in one package for only $1199. BD Author v1.1 released! BD Author is updated now. Software is improved, several bugs are fixed. New real world blu-ray movie example added on example page. Update is free for all registered users! BD Author v1.0 released! BD Author is a professional BD authoring solution for studio use. It contains all the necessary functions for compilation, separate video, audio, interactive graphics (menu) and subtitles into one full valuable BD. BD Author's user interface is very simple and shows all existing BD fields to allows creation of BD with maximum complexity while adhering to the BD specification. Merry Christmas and Happy New Year! We made a small gift to our users making 8 our products as Freeware. The full list is: DVD Demuxer, DVD Demuxer for Mac, DVD Reauthor Lite, HD Files Splitter, DVD Files Splitter, Script Merger for Scenarist SD, HD DVD Demuxer, DVDtoBD Express. Download and use all these products now for free! BD Reauthor Pro 2D version 2.3.2 and BD Reauthor Pro 3D version 3.3.2 released! New versions are improved for latest Scenarist BD 5.3.2 and 5.6.2. Fixed bugs in Audio for Browsable Slideshow and Dolby Digital Plus (*.ec3 audio) insertion for Primary Audio. Blu-Ray Demuxer Pro 3D v2.4 released! Version 3D 2.4 has improved demuxer kernel, fixed minor bugs and bug in BDN XML! Customers, who purchased previous version, receive free license upgrade. EasyBD version 1.4 and EasyBD Professional version 1.4 released! New version has additional types of tracks (virtual, menu) and improved user interface. Professional version has BD and DVD reauthoring functions that allows import any BD or DVD directly into EasyBD. EasyBD Authoring Suite 1.4 released! EasyBD Authoring Suite includes EasyBD Pro, Interactive Menu Editor and BD Demuxer/DVD Demuxer (Import BD/DVD functions) in one package. EasyBD version 1.2 and EasyBD Lite version 1.0.9 released! New version has improved user interface, added SUP format for subtitles, improved import of XML BDN subtitles format. Update is free for all registered users. EasyBD version 1.1 released! According to users requests we have added PlayItems, Seamless connections and Slideshow to this new version. Software update is free to all registered users. EasyBD Lite version 1.0 released! Use this special free version if you do not need create any complex Blu-ray with Interactive Menu or Slideshow. Ideal choose for home users. DVDtoBD Express version 1.4 released! In version 1.4 DVD menu to BD Interactive menu conversion was improved. BD Slideshow forming and BD navigation improved. Software update is free to all registered users. BD2DoStudio 3D version 3.0.4 released! 3D Blu-rays demux added. MovieObjects commands optimized according to DoStudio 2.0 project format. This increase the number of working projects that can be compiled in DSA without any changes after BD2DoStudio. EasyBD version 1.0.8.5 released! We continue to improve our first Blu-ray authoring solution according to Blu-ray specification. We have also added many user suggestions. Eclipse testing passed. Software update is free to all registered users. EasyBD v1.0 released! EasyBD is simple semi-professional BD authoring solution for home and studio using. It contains all necessary functions for compilation separate video, audio, interactive graphics (menu) and subtitles into one full valuable BD. EasyBD has very simple but flexible user interface and allows create BD in short term. The main concept of the solution is that you can easily create your simple Blu-ray without any special knowledge. IGEditor v1.4 released! In new version 1.4 we optimized memory and fixed several memory errors. We recommend updating to IGEditor 1.4. Update for all previous users is free. IGEditor v1.3 released! In new version 1.3 we fixed serious bug in memory allocation on big and complex IG Projects. We recommend updating to IGEditor 1.3. Update for all previous users is free. BD Reauthor Pro v2.2.5 released! New version 2.2.5 supports last Scenarist BD Studio v5.2 and has improved 3D demux kernel. DVD Demuxer v1.6 for latest Mac OS released! New version 1.6 supports MacOS X 10.6 on Intel platform. Version 1.6 includes additional functions: chapters times saving and selective demux possibility. Customers, who purchased previous version (for PowerPC), receive free license upgrade. IGEditor v1.1 released! In new version 1.1 PSD file import and export added, several bugs fixed and user interface improved. Blu-Ray Reauthor Pro v2.2.0 for Scenarist BD 5.2 released! Version 2.2 supports both last Scenarist BD versions 5.2 and previous 5.1.3. We also fixed several bugs in MUI generation, SubPath and Video size detection. New version has additional functions for 3D demuxing and AVC/MVC Video extraction. IGEditor v1.0 released! DVDLogic IGEditor contains all necessary means for creating and editing interactive menus of Blu-ray discs. Work with IGEditor is handy, visually easy to use and quick. IGEditor allows you to create interactive menus with basic functionality to complex compliant menus all by adhering to the BD specification. IGEditor contains special functions for any graphic image adaptation, palette recalculation, navigation commands writing, opening and editing existing menus. Menu’s created by IGEditor can be immediately opened and muxed in Sonic Scenarist BD. Blu-Ray Reauthor Pro v2.1.3 released! Version 2.1.3 has several important improvements: fixed errors in SubPath and PlayList for multiclips, Meta insertion, PTS calculation for Video, WAV demux and more... Customers, who purchased previous version, may receive license upgrade with discount. New BD Reauthor has new price, the new price is less! Blu-Ray Demuxer Pro 3D v2.3 released! Version 3D 2.3 has improved demuxer kernel, user interface, additional options and 3D demuxing support! Customers, who purchased previous version, receive free license upgrade. DVDtoBD Express version 1.1 released! In version 1.1 BD structure forming was improved. HD Splitter 2.0 released! HD Splitter is a small tool intended for splitting and merging High Definition Blu-Ray audio and video files. HD Splitter works with AC3, EC3, DTS, DTS-HD, WAV (PCM), MLP, M2V, AVC, VC-1. DVDtoBD Express 1.0 released! DVDtoBD Express is very simple program for DVD into BD conversion. DVDtoBD Express is independent program and does not use any additional software to create Blu-Ray. This is very simple in use one button program. However it contains powerful internal functions, as DVD Demuxer and BD Muxer. DVD Reauthor Professional 4.0.2 released! In new version of DVD Reauthor Pro improved demux kernel, optimized subpictures advanced effects detection. Fixed some errors in demux and memory allocation for complex discs. It is also optimizid and tested for latest Windows 7. BD2DoStudio Tool 2.2 released! BD2DoStudio Tool is a powerful tool for Blu-Ray demuxing and importing data into the NetBlender DoStudio authoring solution. The main function of BD2DoStudio is decompilation of Blu-Ray disk into video, audio and other files. All output data are marked with data format information and ready for editing in DoStudio. It saves you time and provides a single tool for the reauthoring in DoStudio. DVDtoBD 1.0 released! 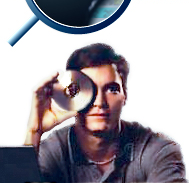 DVDtoBD Tool is unique productivity solution that open and edit unencrypted DVD Disc using Sonic Scenarist BD ®. With DVDtoBD you can easily convert any DVD into BD. You can add, change, delete or edit any assets including Interactive Menus and Subtitles streams. All conversions processed internally and does not requires big knowledge from BD authors. It is ideally for those BD authors who start to learn Blu-ray and it is very useful to any Blu-ray author. Destination project file allows you to do absolutely any changes using latest BD authoring technology from the leader in DVD and BD authoring — Sonic Solutions. Blu-Ray Demuxer Pro 2.0 released! Version 2.0 has improved demuxer kernel, user interface, additional options were added, fixed bug in MLP, WAV processing. Customers, who purchased previous version, receive free license upgrade. Blu-Ray Reauthor Pro released! Blu-Ray Reauthor Pro - a unique productivity solution that can open and edit unencrypted Blu-ray Disc titles using Sonic Scenarist®. With BD Reauthor, any BD title created with any authoring application becomes a "living archive" that can be accessed to extract assets or used to update and refresh a completed title. BD Reauthor is a must-have utility that provides competitive advantage for any studio or professional BD authoring facility, speeding up title revisions and production at an unprecedented rate. Blu-Ray Demuxer Pro 1.0 released! Blu-Ray Demuxer Pro is a powerful tool for Blu-Ray demuxing. Blu-Ray Demuxer Pro contains extended user interface. It allows to view all internal structure of Blu-Ray disc, including all logic fields. DVD Reauthor Pro 3.3 released! Version 3.3 has improved demuxer kernel and memory manager. This allows to demux very complex DVD. Some bugs were fixed. Customers, who purchased previous version, receive free license upgrade. HD DVD Demuxer 1.4 released! Now you can create SST file in HD DVD format with 8 bit PNG images. Bug with subpictures was fixed. Start times for Audio added. Customers, who purchased previous version, receive free license upgrade. Advanced Subtitler 1.4 released! Now you can create SST file in HD DVD format with 8 bit PNG images. Option "HD Preset" added for high resolution. PNG background (transparency) corrected. Customers, who purchased previous version, receive free license upgrade. HD DVD Demuxer 1.2 beta released! HD Advanced demuxing added. Single EVO file demuxing added. Some bugs were fixed. Customers, who purchased previous version, receive free license upgrade. DVD Reauthor Pro 3.2 released! Some bugs were fixed. Batch tool added. Customers, who purchased previous version, receive free license upgrade. Advanced Subtitler 1.3 released! Options profile added, picture output format PNG added, string length limit control added, function "save text only" added, function "Move text Up" added. Customers, who purchased previous version, receive free license upgrade. DVD Demuxer 2.0 released! New demux kernel was implemented. Some bugs were fixed. Butch tool added. Customers, who purchased previous version, receive free license upgrade. Advanced Subtitler 1.2 released! Wav file loading bug fixed, bug with time divider fixed, autosave added, merge record function added, resizing for Screenview added. Customers, who purchased previous version, receive free license upgrade. HD DVD Demuxer 1.0 beta released! HD DVD Demuxer 1.0 is designed for decompilation of total High Definition DVD on all data streams by pushing the only button. Output files of HD DVD Demuxer are well structured and named. Later you can use these files separately in any of HD DVD authoring program. DVD Demuxer 1.0 for Mac OS X released! DVD Demuxer 1.0 for Mac OS X is designed for decompilation of total DVD on all data streams by pushing the only button. Output files of DVD Demuxer are well structured and named. Later you can use these files separately in any of DVD authoring program.